If you’re planning to drive abroad over the coming weeks and months, the driving documents you’ll need may change – here’s what you need to know. Before the UK leaves the EU on 29 March 2019, holders of UK licences can drive in all EU countries and the European Economic Area (EEA) without the need for any additional documentation. If the UK leaves the EU on 29 March without a deal, UK licence holders may also need to obtain an International Driving Permit (IDP) to drive in EU/EEA countries. There’s more than one type of IDP available and the type of IDP you may need in some countries will change on 28 March. You can obtain an IDP for £5.50 from 2,500 Post Offices across the UK. Find out how to obtain an IDP by visiting the Post Office website. If you’re a UK licence holder living in the UK, there’s no need to change your driving licence after 29 March. If you are resident in an EU country after the UK leaves the EU, you may not automatically have the right to exchange your UK licence for a driving licence from the country you’re living in and you may need to take a new driving test. If you are already resident in an EU/EEA country, you can avoid this by exchanging your UK driving licence in the member state you live in before 29 March. UK licence holders who do this will be able to exchange that licence back to a UK licence if they return to live in the UK at a later date. Arrangements for EU licence holders who are visiting or living in the UK will not change after 29 March. The UK does not require visiting motorists to hold a separate IDP to guarantee the recognition of their driving licence. This covers EU licence holders coming to the UK on holiday or driving on business. EU licence holders visiting the UK can drive here as long as their licence remains valid. EU licence holders who are or become a UK resident can drive here with a valid licence until they reach the age of 70, or until three years after coming to live in the UK, whichever is later. There are different restrictions in place for those who have a licence to drive lorries and buses. For EU licence holders who passed their test in the EU or EEA, the UK will continue to exchange their licence as we do currently. EU licence holders who passed their test outside the EU or EEA may have restrictions on licence exchange. As such, they may need to take a driving test to obtain a UK licence. 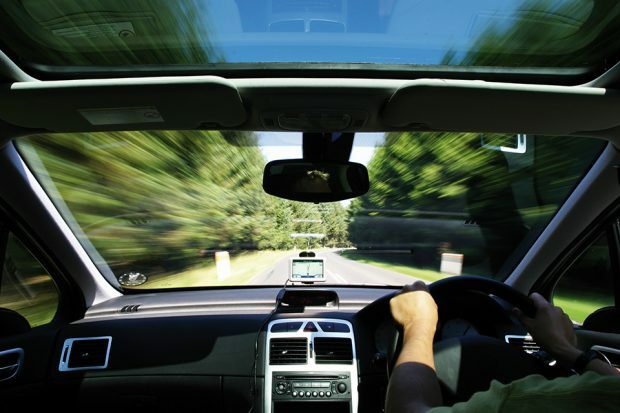 Find out more about exchanging a foreign driving licence. Regardless of the outcome of EU negotiations, there are new requirements for the separate registration of commercial trailers from 28 March 2019. All trailers weighing over 3,500kg will need to be registered. However, if your trailer is used for commercial purposes you’ll need to register it if it weighs over 750kg. This requirement will apply trailer used for journeys to, or through, all EU countries, with the exception of Ireland, Spain, Cyprus and Malta. Trailers used solely domestically will not need to be registered. More information on how to register your trailer is available here. The fee for registration is £26 per trailer. Once a trailer is registered, it will be allocated a unique registration number which must be displayed on the trailer in addition to the existing registration number of the pulling vehicle. Green Cards are an international certificate of motor insurance. The EU is part of a Green Card-free circulation area. Currently, you do not need a motor insurance Green Card (to drive a UK registered vehicle in these countries). In the event that there is no EU Exit deal and the UK and EU reach no separate agreement, drivers of UK registered vehicles will need to carry a motor insurance Green Card when driving in the EU, Iceland, Liechtenstein, Norway, Andorra, Serbia and Switzerland. You can contact your vehicle insurance provider to obtain a motor insurance Green Card. Keep track of the latest UK government information and advice on everything to do the UK’s exit from the EU.